Two friends have both written excellent blogs on propositional not just oppositional strategies. These suggest not just dissent and resistance to political processes that are fundamentally broken – but the creation of new processes that could feasibly help us build something more equitable and sustainable. 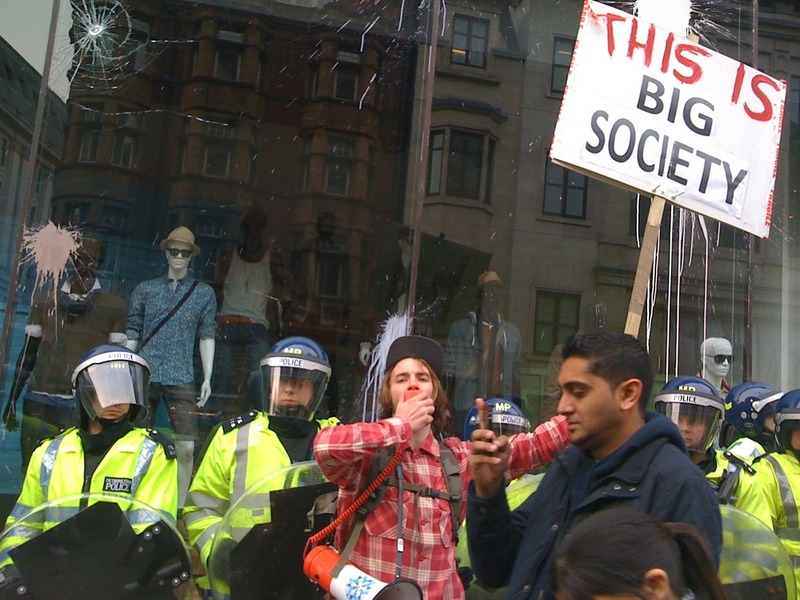 Dougald Hine’s blog this week is the best thing I have read on Big Society yet. He claims ‘the joint failure of the state and the market’ calls for ‘the rise of new forms of social production’. What is happening it now is not entirely ideologically motivated, but “a historical process which is being forced upon us”. In this context “Big Society could only flourish in a Britain where the widening inequalities of the past thirty years are tackled – and where the richest individuals and most profitable corporations no longer feel free to opt out of the tax system”. Mark Barrett’s article on People’s Assembly (PA) is not a theoretical proposal but an articulation of a process that has emerged from social movements aiming to find new strategies and organizing processes. This has also emerged out of necessity, but unlike Big Society – it was thrashed out from below. Mark describes PAs as “an opportunity to bring into being a new political model based on the power of democratic structures, or what some of us call people’s assemblies. Therefore, our proposition is not to the state, but to our fellow marchers and the wider public.” These people’s assemblies are already happening, around the world and interestingly enough Canada (see part one of this post) is one of the places where they flourish and are cutting across the usual sectarian lines. The people’s assemblies have the potential to address the urgent need for solidarity across social groups and engage those have every reason to be disenchanted with parliamentary politics. Mark explains that People’s Assemblies ‘embrace of a new local to global politics of the common’. Douglas is co-founder of the Dark Mountain group that meets regularly in London. Mark has been working on creating the People’s Assembly movement who are meeting next Saturday, April 9 1-5pm.